The University of Redlands has ranked fourth among small schools on the Peace Corps’s 2018 Top Volunteer-Producing Colleges and Universities list. 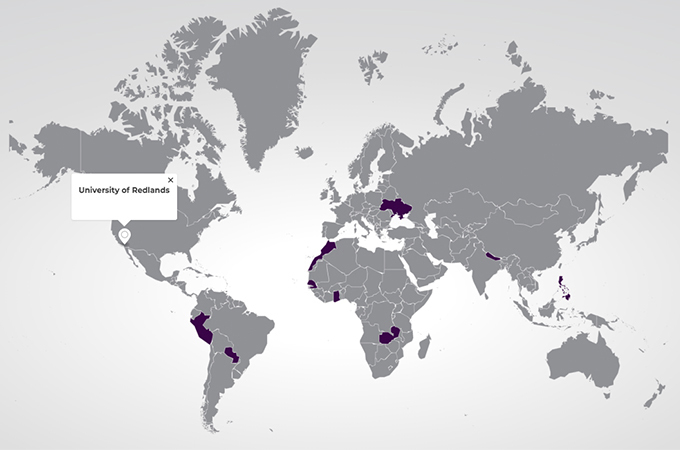 There are 14 Bulldogs currently volunteering worldwide, and a total of 286 alumni have served in the Peace Corps. U of R alumna Sherry Manning ’05 spent two years as a Peace Corps volunteer in the Philippines. “I always like to say that the Philippines chose me, because I had such an amazing experience and really consider it a second home.” While there, Manning learned that indigenous farmers were losing the right to plant their own seeds because corporations were slowly patenting food stocks globally. Inspired by her host family, who operated a space that educated farmers on the environment, she founded Global Seed Savers, a nonprofit organization supporting organic farmers and environmental conservation programs throughout the Philippines. 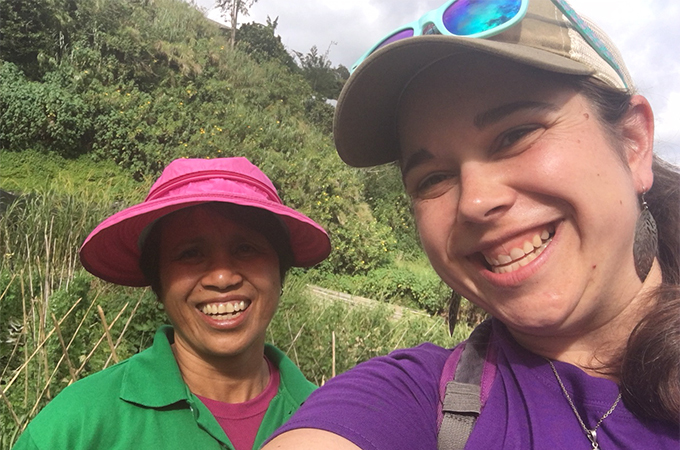 Sherry Manning '05 (right) takes a selfie with Precilla, an organic farmer and seed saver in the Philippines. Manning began operating Global Seed Savers full-time in 2015, and has now helped educate more than 1,000 Filipino farmers. The organization has helped launch a farmers’ association and seed library in the community where she first served in the Peace Corps. “If you’re an undergraduate student at the University of Redlands, service is part of your journey here so extending that beyond graduation seems natural,” said U of R Director of Community Service Learning Tony Mueller. “Whether it’s AmeriCorps, Teach for America, The Peace Corps or other post-graduate service experiences, University of Redlands students want to be a part of solutions. The seeds of that service journey are first taught at home and nurtured right here in Redlands." The Peace Corps ranks its top volunteer-producing colleges and universities annually according to the size of the student body. View the complete 2018 rankings of the top 25 schools in each category and find an interactive map that shows where alumni from each college and university are serving.